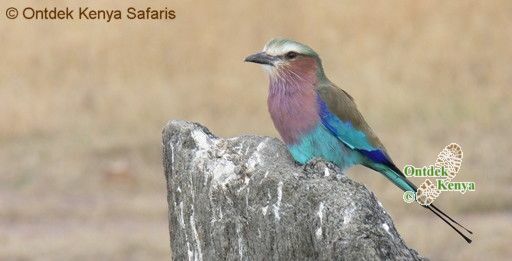 Our bird watching holidays take birding to its very basics; observing birds in their natural habitats in a relaxed way. Competent bird guides, good selection of habitats for a variety of birds of Kenya, easy walks so that you are not cooped up in a minibus throughout your birding tour and flawless ground logistics are the hallmarks of our birding safaris. We spend more time in the places we visit than most birdwatching tour operators do, our focus being to let our clients have easy bird watching by their ability and not at the pace, speed and the pressure of a tour leader. Go directly to our itineraries. With a minimum of 2 nights in every location, you will have quality time devoted to getting to know the birds names, identifying by color and other special features which can only be done on very relaxed tours: This is what sets Ontdek's bird watching holidays apart. Our birding safaris can be booked as customized tours on your most convenient date or you may join a scheduled small group safaris where you will meet other bird watchers whose approach to bird and bird watching is similar to yours i.e. observing birds in their natural habitats instead of being in a hectic rush so as to fill a checklist. Group size is 4 -10 birders. 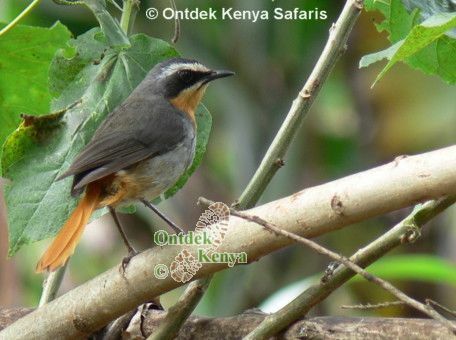 As always you can depend on our competent birding guides, who will accompany you throughout the tour, to be worth companions in finding, identifying the many bird species you will find on this tour in Kenya. Read more on how we organize our guided safaris. A 2 weeks easy bird watching holiday starting with Nairobi National Park followed by the Rift Valley Lakes where we offer a mix of fresh water lakes (Naivasha and Baringo) and salt water lakes (Nakuru and Bogoria). Move further west and spend 2 full days birdwatching in the unique Kakamega Forest, the last remaining patch of tropical rain forest in Kenya. The last 3 days of birding are reserved for Masai Mara, the Africa of everyone's dream: rolling plains, great wildlife and a wide diversity of birds species.